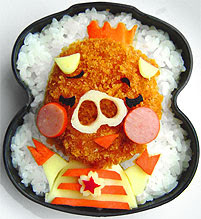 A few years back, I received an email attachment and saved some nice and creative bento pictures in my PC. 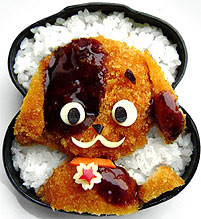 The picture didn’t trigger me to make my own bento, cause back then, I was staying with my parents. 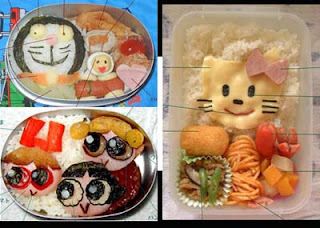 Recently, I came across a Hello Kitty bento and was thinking to myself, “Maybe I can make one too.” I went on to search for more pictures and receipe of creative bento and I came across this blog, Bento Corner (http://www.bentocorner.com). I was impressed by the different types of bento prepared by this mother to her daughter, almost everyday. This smart and creative mother made these bentos to coax her daughter so that she eats, cause her daughter was not enjoying food very much and she was worry about her health. I have made up my mind! 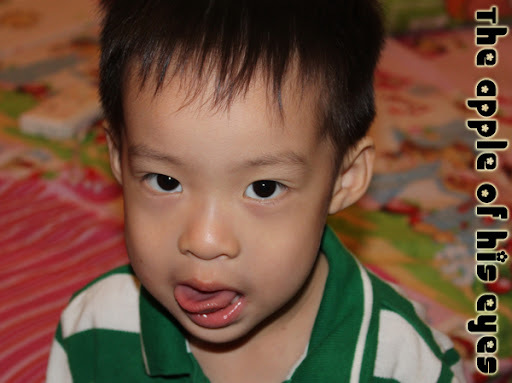 I will go Liang Court on either Friday or Saturday to buy the necessary items for my bento. Hopefully I can find some cutter or mould for the bento. Will make one for Kevin this weekend. I have forced Kevin to choose his "favourite" bento from my list of pictures, so that I can make one for him over the weekend. As expected, he chose a few which are obviously very easy designs. I think the pig one is slightly more challenging. Will take a pic of my accompolishment this wkend. Gal, can you do one for me too? Looks so delicious..